Cinequipt - the broadest range of digital cinema, video, production and lighting gear in Minnesota! Tungsten lighting for the music set on The Tonight Show Starring Jimmy Fallon for their live broadcast after Super Bowl LII provided by CQ. One of our 3 Ton Grip Trucks on location at a photo shoot in Northern California. Complete video production and lighting systems designed & installed by CQ at The Lynhall Kitchen Studio. Duracell Batteries commercial shot on an Iowa windfarm with cameras and lighting & grip provided by CQ. LED lighting equipment provided by CQ at the 2016 Ryder Cup. 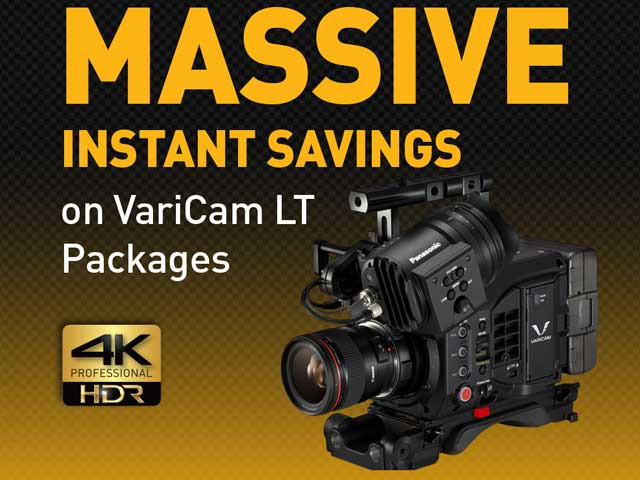 For over 47 years, we've been working to be one frame ahead of your film, video & lighting gear needs. Getting set up for a Target shoot in Studio C.
We know you’re crunched for time on every shoot, so finding the right equipment becomes key and getting the right answers becomes invaluable. Cinequipt’s inventory of digital cinema, video, production and lighting gear is ever expanding and our decades of experience are unrivaled. 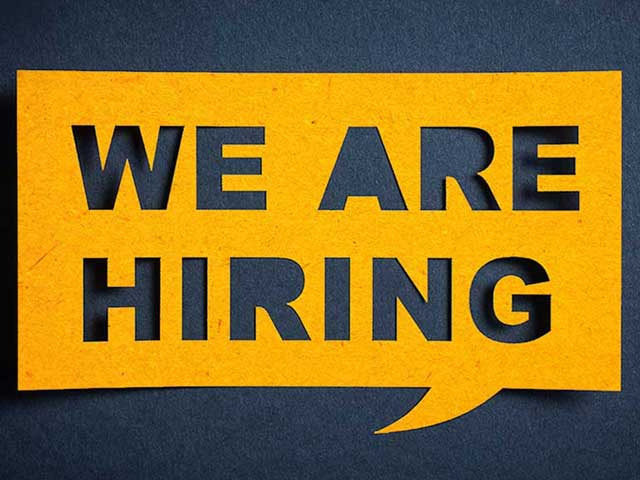 We know the answers or have the industry connections to know where the answers can be found. No wonder that we’re the Upper Midwest’s leading production equipment rental and sales specialists. 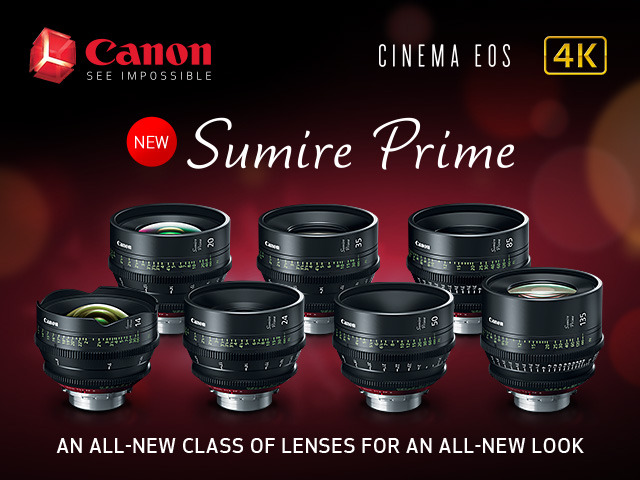 Coming this summer to CQ, Canon's new PL mount primes with a unique optical design that introduces a nuanced look near maximum aperture. 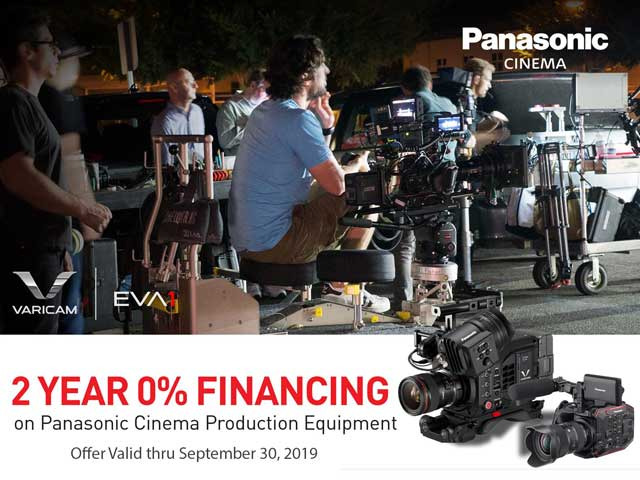 Extended thru 9/30/19 - Panasonic is offering 24 month 0% or 36 month 1.99% financing on all cinema production equipment - VariCam's to EVA-1's. 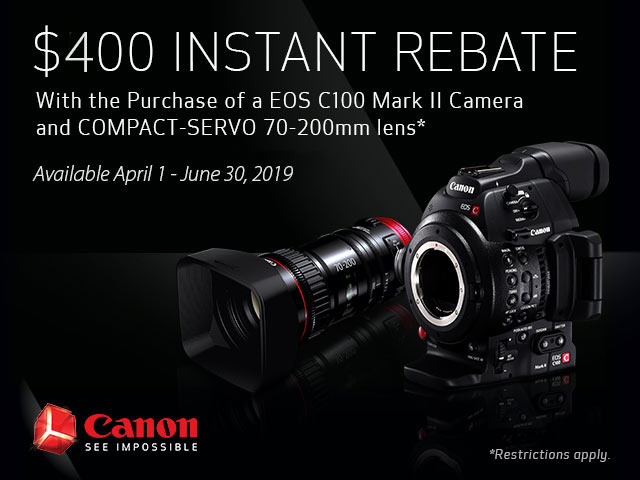 $2000 to $3500 Instant Savings on VariCam LT Cameras are available thru 6/30/19. 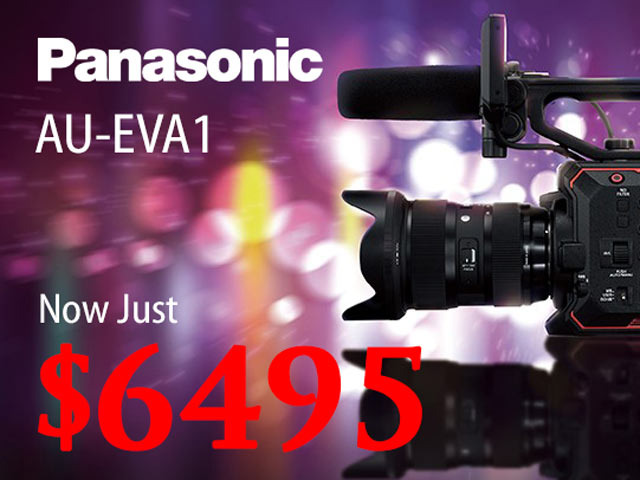 The EVA1 5.7K Camcorder has just been reduced in price to $6495. 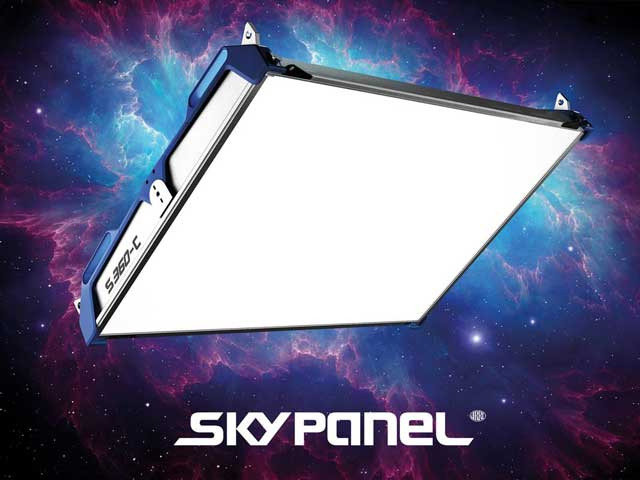 Now on our showroom floor - see the light that is changing the industry. 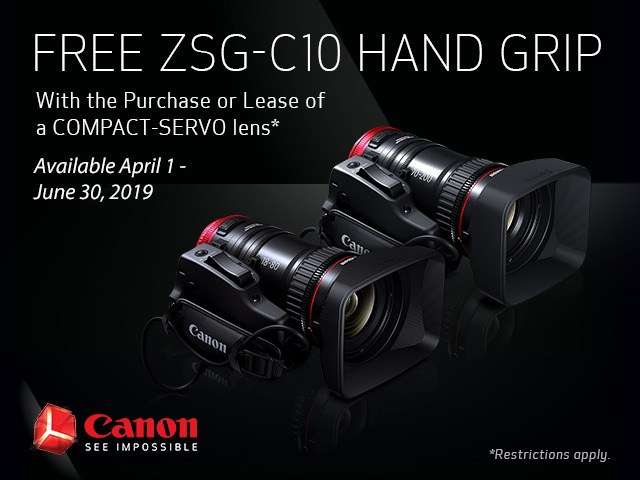 12 or 24 Month 0% or 36 Month 1.99% financing is available to qualified buyers with the purchase of select Cinema EOS products..
Extended thru 6/30/19 - receive a free ZSG-C10 Hand Grip with the purchase of a Canon Compact-Servo lens. 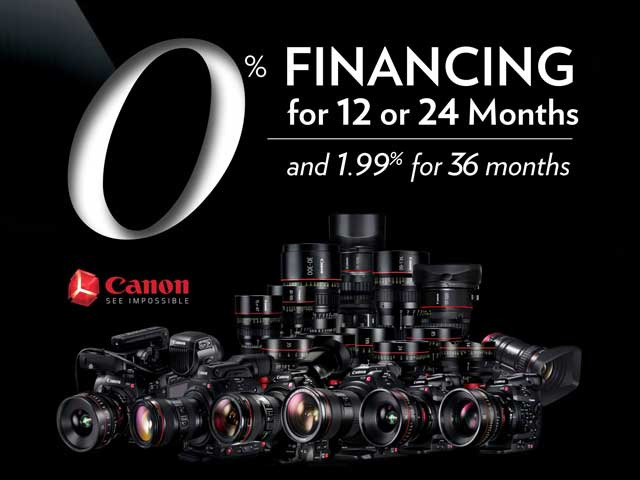 0% 12 or 24 month financing is available too.